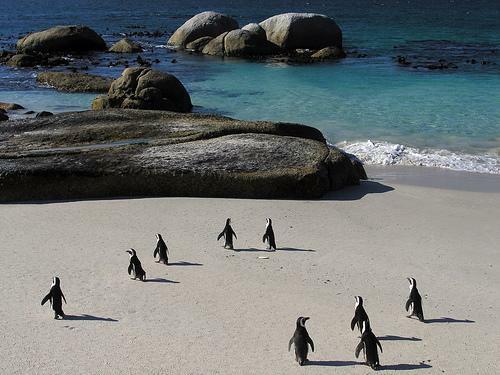 This 11-day journey combines two of South Africa’s best family-friendly and malaria-free wildlife destinations with an exquisite beach villa in Cape Town. Enjoy horse-riding safaris in the spectacular scenery of the Waterberg at Ant’s Nest Lodge before a Big Five adventure in Phinda Game Reserve, with a grand finale at the luxurious Villa Lara in the shadow of the iconic Table Mountain. Begin your adventure at Ant’s Nest Lodge in the Waterberg, three hours by road from Johannesburg airport. Your hosts, Ant and Tessa, welcome you to the private lodge that is like a home away from home. 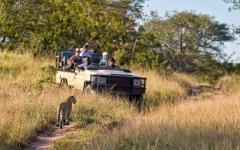 For the next three days, enjoy game drives and safari walks as well as horse rides for all ages and levels of experience. 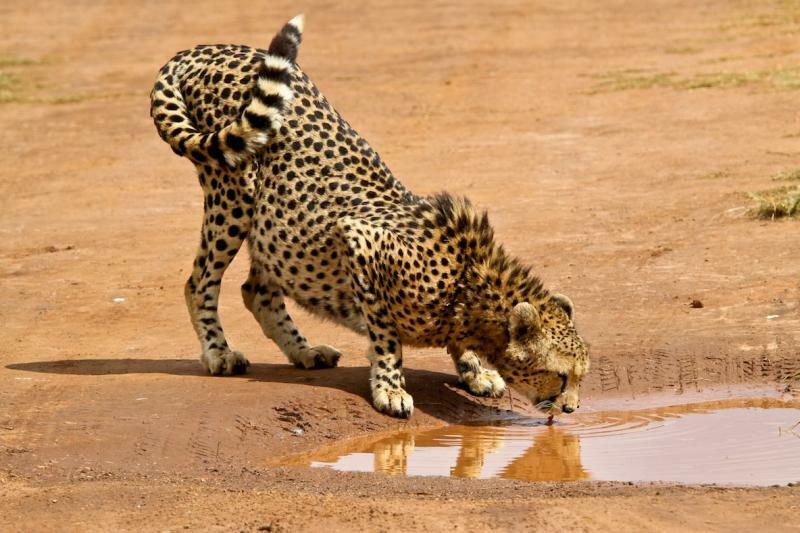 With over 40 species of large mammals from the towering giraffe to the tiny bat-eared fox, your family will encounter a wildlife experience like no other in this uniquely biodiverse region. With the house and staff at your disposal, you are free to choose when and how mealtimes and activities take place, and a selection of educational toys and games for the children will keep them occupied while you enjoy the beautiful grounds and swimming pool. 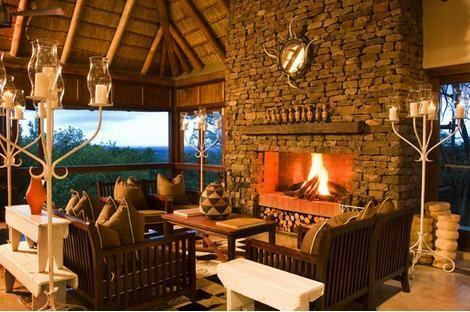 Next, a private charter plane will fly you to Phinda Game Reserve, where you will be staying at the stylish and gorgeously Afro-chic Phinda Homestead. With a dedicated staff, private chef, guide and tracker team, you will be welcomed and made to feel immediately at home as they strive to meet your every desire and share this incredible wilderness area with you. Wake up to the sound of the birds and look out across this African paradise from the huge windows in the bedroom before heading out on an adventure that promises plentiful big game sightings, including buffalo, elephants, lions, leopards and rhinos. 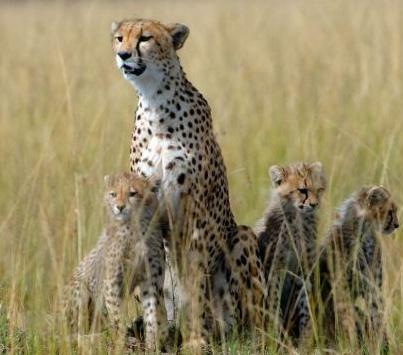 Another special species to encounter here are the graceful and swift cheetahs that thrive in this environment. After a day’s adventure in the reserve, return to the home comforts of the homestead where the chef and staff are waiting to spoil you, or simply enjoy a workout in the gym, or a refreshing swim in the pool. After all the African wildlife adventures of the previous days, it is time for a taste of city life, and Cape Town deservedly has the reputation of one of the most beautiful cities on Earth. Ideally located just off Kloof St, referred to as the 'heart of Cape Town' by the locals, Rosemead House offers the comfort of a private home, complete with swimming pool, and the convenience of the hotel to which it is linked. 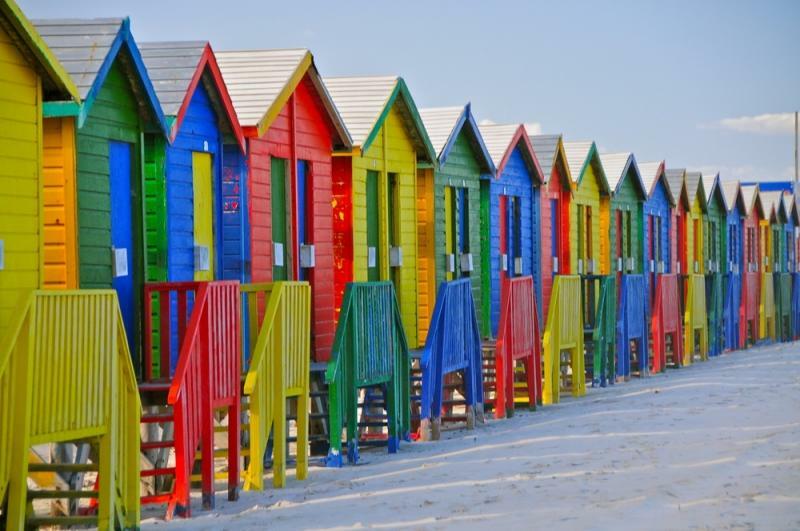 With four days at your disposal, there are a host of wonderful things to see and do in Cape Town, from the picturesque wine country dotted with award-winning estates, to the iconic view from the top of Table Mountain. 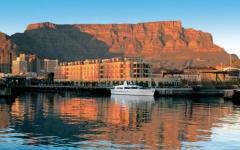 With day trips to go shark cage-diving, tours to the Cape Point Peninsula where the Indian and Atlantic Oceans meet, sea kayaking, mountain biking and a variety of wonderful restaurants, bars and shops in the Victoria & Alfred Waterfront, there is something for everybody in the family to love about Cape Town. On arrival at Johannesburg’s OR Tambo International Airport, a representative who will drive you to Ant’s Nest in the Waterberg, will meet you. The three-hour journey takes you past the outlying suburbs of the city before entering the rolling hills and scenic beauty of the countryside. As you go along, the landscape becomes grander as mountains and valleys come into view, and before long, you enter the Waterberg Reserve. Ant’s Nest is an original colonial farmstead, remodeled into an exquisite home away from home. Set in rolling lawns dotted with indigenous trees and plants, the villa boasts a heated swimming pool, an outdoor relaxation area with huge sofas and cushions, a lounge, dining room, and six en suite bedrooms. A dedicated staff and your own personal guide are there to ensure that your every need is taken care of, and a variety of children’s books and games are available to keep them entertained during the midday hours. 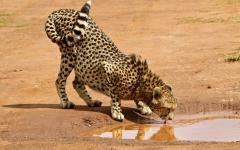 A waterhole in front of the house attracts a variety of game that is fascinating to watch from the comfort of an easy chair. Settle into your gorgeous suite, and take a wander around the house, admiring the tasteful and eclectic décor that reflects a distinctly African theme. Spend the afternoon acclimatizing in the garden or at the pool, or take a walk with your guide to stretch your legs and learn about the local flora and fauna. In the evening, enjoy a fabulous meal prepared by the chef, and sample a delicious South African wine, listening to the sounds of the African night outside. Spend the next two days soaking in the wonders of this unique region. With no set regime or timetable, it is up to you and your guide as to what you wish to do, and when. With a stable of horses suited to all ages and abilities, Ant’s Nest offers one of the best ways to enjoy the bush, which is on horseback. The reason for this is that wild animals have no instinctive fear of horses, as they would have for humans on foot, and as you are mounted, they do not pay you the slightest attention. This allows you to get closer than any other way to the plentiful game species that occur here without any disturbance. 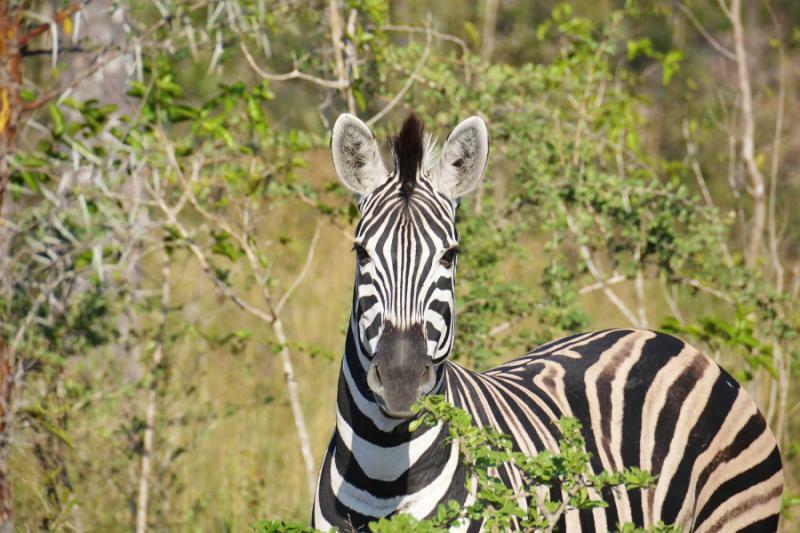 This is one of the most unique experiences to be had- imagine riding alongside a herd of sable or zebra, with no sound, bar the wind in your hair, and the pounding of hooves around you! 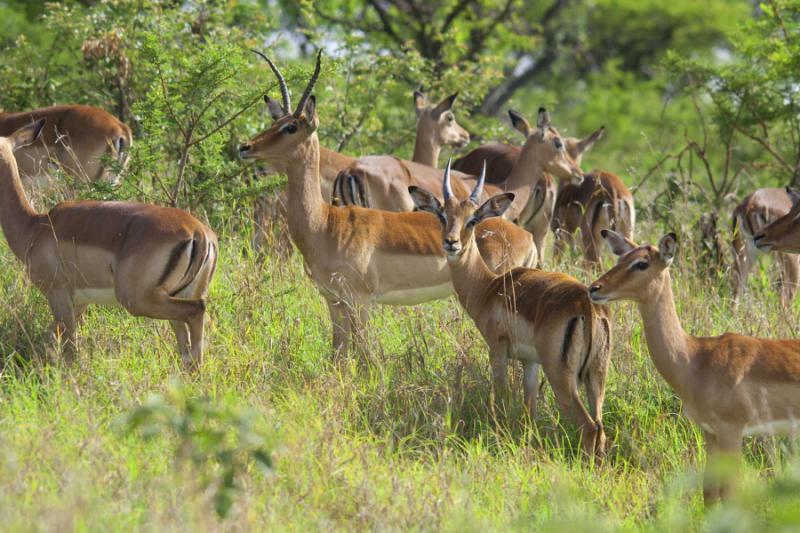 Take a game drive to cover more ground and get a feel for the diverse topography of the area, which in turn supports a rich diversity of animals and birds. Encounter eland, the largest African antelope on the plains, while herds of buffalo crash through the scrub and woodland, where you also might find white rhino, a massive, prehistoric-looking animal that looks like a tank on legs! Giraffe peer curiously at you over the trees, gracefully batting their incredibly long eyelashes as you drive by. Stopping to stretch your legs at one of Ant’s favorite lookout spots, enjoy a sundowner drink overlooking a splendid view, painted in a kaleidoscope of color by the rays of the setting sun. Returning to the house at dusk, you use a spotlight to seek out the lesser-seen nocturnal animals as they emerge into the night. Keep an eye out for eyes reflecting the light’s glow, and you might discover a genet, caracal or even a leopard slinking regally through the darkness. 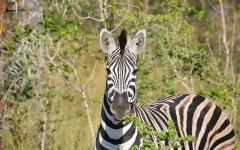 After a delicious brunch, you board a charter flight south to the Phinda Private Game Reserve. 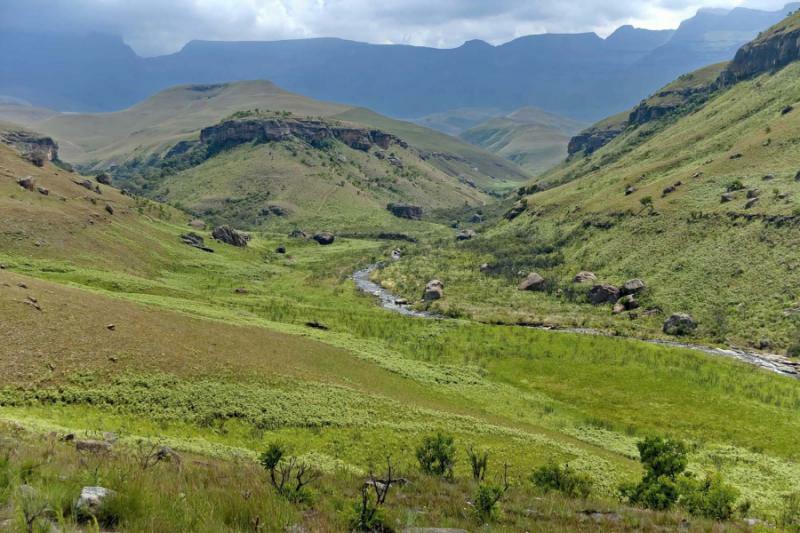 This award-winning reserve is located in the lush northern reaches of Kwa-Zulu Natal Province, and consists of nearly 50,000 acres of pristine wilderness. 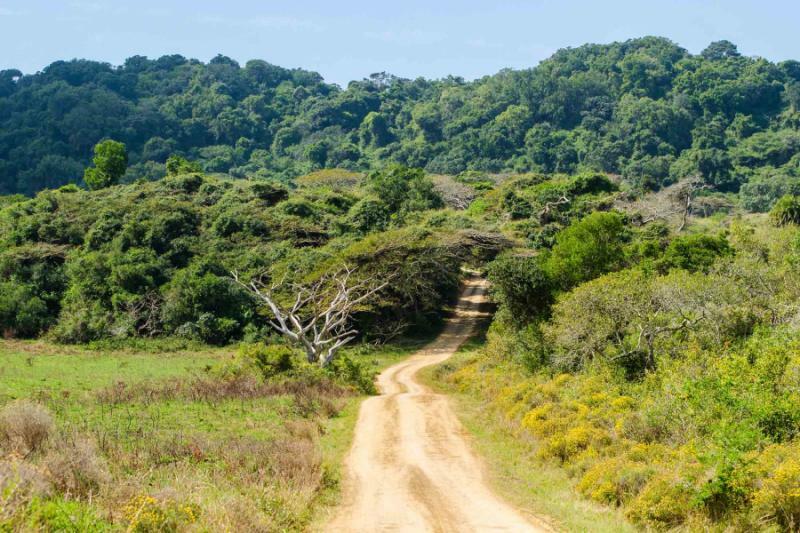 A variety of distinct eco tones and habitats make this region perfect for a great diversity of species, including the Big Five, as well as the largest bird list in Southern Africa. What makes it special is that it has only six very small lodges on the property, guaranteeing you an exclusive and private wildlife experience. 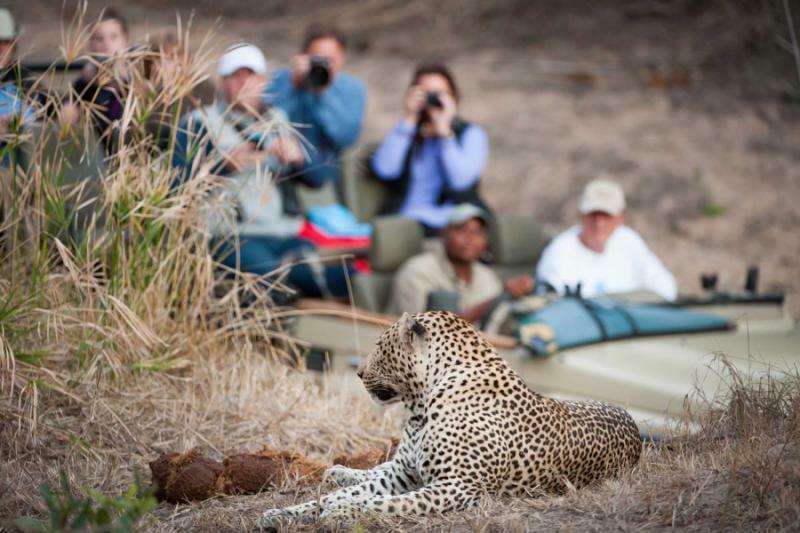 Your guide meets you at the airstrip, and takes you on a short game drive to your private villa at the Phinda Homestead, where a warm welcome from the staff makes you feel instantly at home. The building oozes style and sophistication, with three large and airy bedrooms that seem to flow into outdoor relaxation areas and a sparkling pool set in a lush tropical garden. The open-plan kitchen allows you to interact with your private chef as he prepares your favorite meals, and your butler is on hand to ensure that your every need is catered for. Settle into the homestead and soak in the blissful views, take a refreshing dip in the pool and enjoy a cocktail on the viewing deck as the sunset lights up the sky in a display of color that will leave you breathless with wonder. 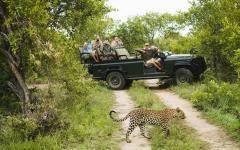 Or go for a game walk, or another game drive. Your private vehicle and guide are available whenever you are ready for another activity. 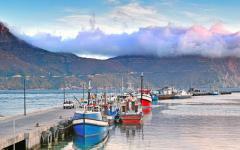 Your guide can set up helicopter flights to the sea, fishing excursions, and historical tours at additional costs. Enjoy a sumptuous and intimate dinner in the dining room, reveling in easy conversation and laughter, while the sounds of the African night serenade you from outside. After a final drink at the fireside as you admire the stars, slip between the covers and drift off, listening to the distant roars of a lion. 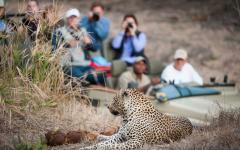 Allow the rhythms of nature to guide you as you absorb the magic of the African bush. 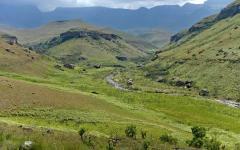 Rising early for your South Africa safari, you will find the air crisp and cool while dewdrops sparkle on the grass. The animals are still active, and the freshness of the morning is enhanced by the golden light playing over the landscape. 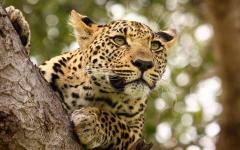 Your guide and tracker team will reveal the secrets of the bush using their incredible knowledge and experience of the region. Pug marks in the sand show where a pride of lions had passed in the night, and your tracker shows you the astonishing size of a male lion’s paw prints leading off into the forest. You continue following the tracks, breathless with excitement, wondering if you will catch up to them. Your guide points out a flattened area of grass where they lay in hiding, the hoof marks of a buffalo nearby reveal what they were planning to hunt. Unsuccessful, the tracks continue until suddenly, your heart in your mouth, a flicking tail throws a lion into sharp relief, lying in the shade only a dozen yards away! 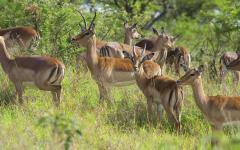 Looking around, you realize the entire pride are there, perfectly camouflaged in the golden grass around you. To encounter lions in the wild and to gaze into their deep amber eyes is an experience that cannot be described: it can only be felt. After a thrilling morning in the wilds, you return to the Homestead to a delicious meal that you enjoy on the terrace overlooking the garden. Like the animals, you spend the midday hours relaxing in the shade, slipping in and out of the pool, and sipping ice-cold drinks. As the sun begins to lower in the sky, you once again feel compelled to venture out and see what nature has in store for you. Heading out on a game drive once again, your guide takes a different course this time, allowing you to experience a different aspect of the Reserve. 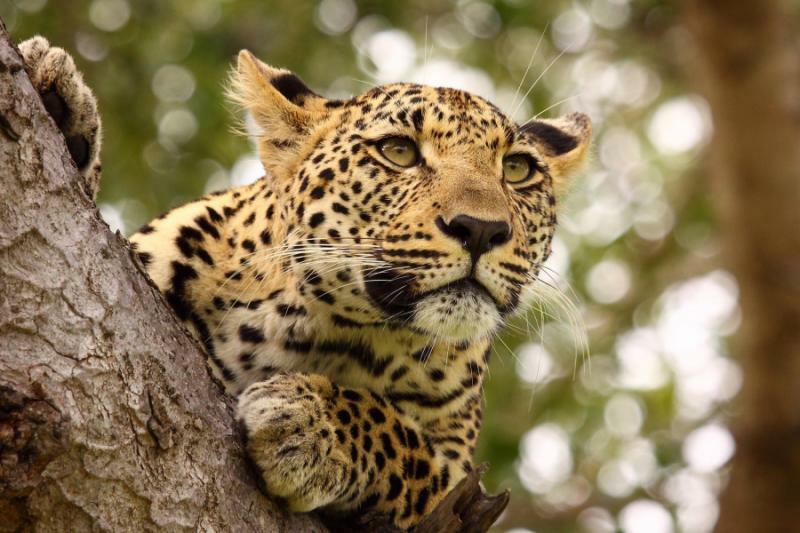 The acacia woodlands are a prime habitat for leopards, and the open grasslands are the perfect place to look for cheetahs that need space for their explosive hunting technique. 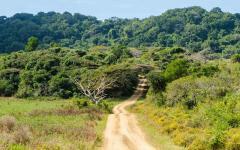 In the morning you travel by road to Durban to catch a scheduled flight to Cape Town. Upon arrival, a driver will collect you. 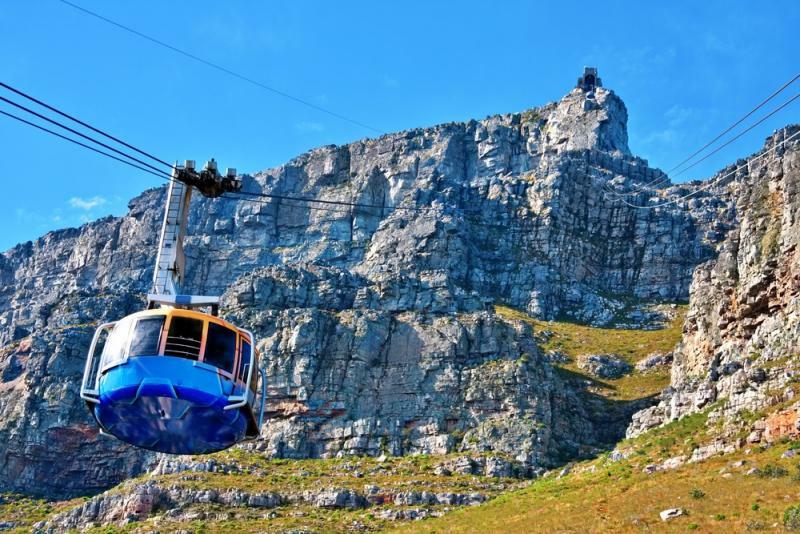 Leaving the airport, the first thing you notice is the looming bulk of Table Mountain, the unmistakable landmark that dominates the city nestled on its slopes. Your private villa sits near its base. Arrive at Radcliff House to a warm welcome and enjoy the classic décor of this four bedroom house in a beautiful residential area near the city’s best restaurants. You have the full service of More Quarters hotel, but the luxury of a house with a swimming pool for your exclusive use. 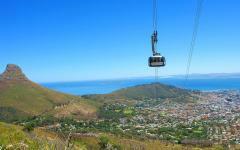 The city and its environs are your playground to explore- with a jaw-dropping backdrop of mountains and ocean, any direction you take is bound to lead through spectacular views. Visit the Cape Point Nature Reserve to stand on the Cape of Good Hope and gaze out to sea, imagining you can see the Indian and Atlantic Oceans mingling far below you. 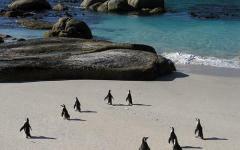 Return along the Peninsula visiting quaint little villages that beg to be explored, and stop at Boulders Beach to see the colony of adorable African penguins. 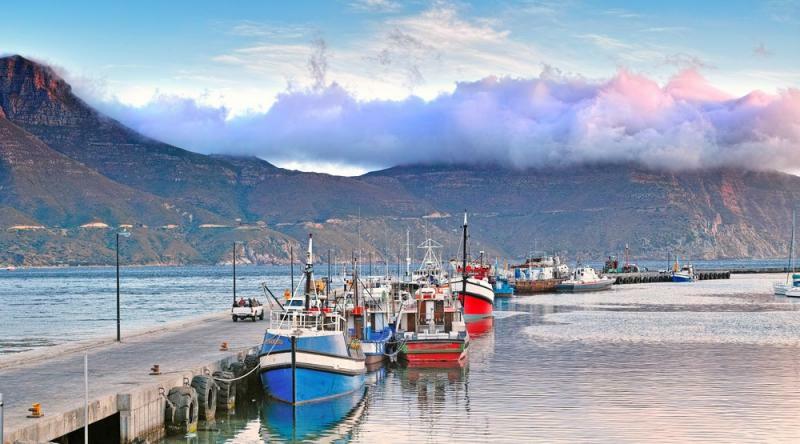 Stop for lunch at a seaside restaurant and indulge in delicious cuisine while watching the boats cruising across the waters of False Bay. 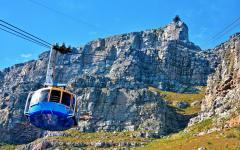 No visit to Cape Town is complete without a cable car ride up to the top of Table Mountain. A network of pathways lead you to a series of breathtaking views over the city, Robben Island, the notorious Apartheid prison, Lion’s Head and the sandy white beaches of Clifton and Camps Bay. On a clear day, you can see all the way to the Helderberg Mountains of the wine country in the distance. The historic town of Stellenbosch is the heart of the Cape’s wine growing country, and the surrounding countryside is dotted with many excellent estates that are delightful to visit. Spend a day exploring this picturesque region, visiting several estates for tastings of excellent varietals and vintages, and enjoy a sumptuous lunch at one of them, surrounded by spectacular scenery, which is reminiscent of the south of France. 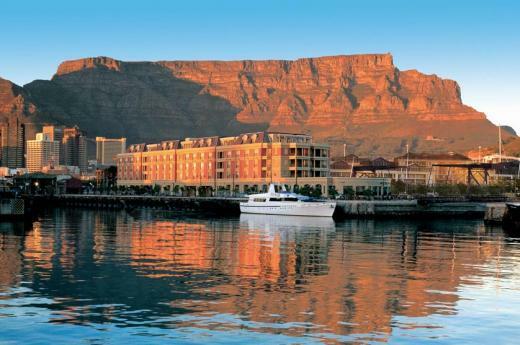 Cape Town itself has many attractions, and with Radcliff House as your base, you are free to explore the Victoria & Alfred Waterfront, a colorful and bustling harbor lined with many interesting shops and world-class restaurants and bars, with the stunning backdrop of Table Mountain behind it. Sip a cocktail on the beachside promenade of Camp’s Bay, and watch the sunset painting the mountains and ocean in a myriad of extraordinary colors before indulging in a delicious dinner surrounded by a vibrant atmosphere. 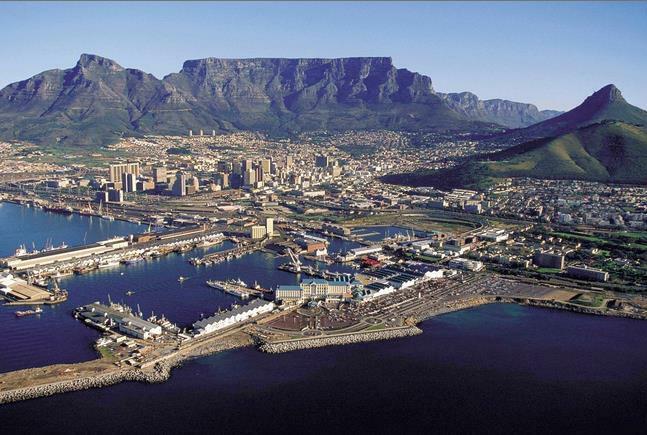 After four wonderful nights enjoying the splendor of the Fairest Cape, indulging in the finest of wines and cuisine, soaking in the sunshine and the incredible scenery, you are now one of the select few who have experienced the wonders of this beautiful corner of the world. 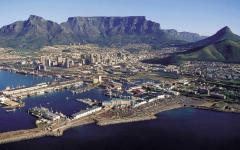 The journey comes to a close as you take a final drive through Cape Town to the airport for your flight home. 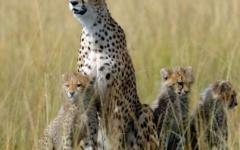 However, if you want to extend your trip, take a look at African safari travel reviews for ideas. "Our travel representative was usually very punctual about responding to emails and questions."